Kevin Hines will join #SPSM 1/18/15, 9pm CST to discuss his use of media in sharing his story of lived experience of suicide attempt. You can participate in the tweet chat, as well as watch him LIVE, streaming here. Many in our #SPSM community are familiar with Kevin Hine’s story of surviving his suicide attempt. Several of us have heard him speak, seen his videos, or read his book. Because of Hine’s extensive use of media in multiple forms he has been able to have a large reach with his message. Because many members of our community are interested in how to effectively engage with media, Hines has been invited to share how he has developed his message over recent years. In 2012, he was awarded a Lifetime Achievement Award for his outstanding work as a suicide prevention advocate and speaker by the National Council of Behavioral Health. He has also been recognized by SAMSHA as a Voice Awards Fellow and Award Winner, an Achievement Winner by the US Veterans Affairs, and he has received a Three Star Marine General’s Medal Award in addition to his numerous accolades. Kevin’s will to live and stay mentally well has inspired people worldwide. His compelling story has touched diverse, global audiences with university campuses, high schools, corporations, clergy, military, clinicians, health and medical communities, law enforcement organizations, and various conferences. Kevin sits on honorary boards of both the International Bipolar Foundation (dedicated to healing from Bipolar Disorder) as well as the Bridge Rail Foundation (dedicated to ending suicides at the Golden Gate Bridge). He is currently a member of the National Suicide Prevention Lifeline’s Consumer Survivors Sub-Committee. Kevin was a two term member of San Francisco’s Mental Health Board and has spoken in congressional hearings alongside Patrick Kennedy in support of The Mental Health Parity Bill. He sat on the San Francisco Chapter of the American Foundation for Suicide Prevention for one year and helped raise over $30,000 for the AFSP. 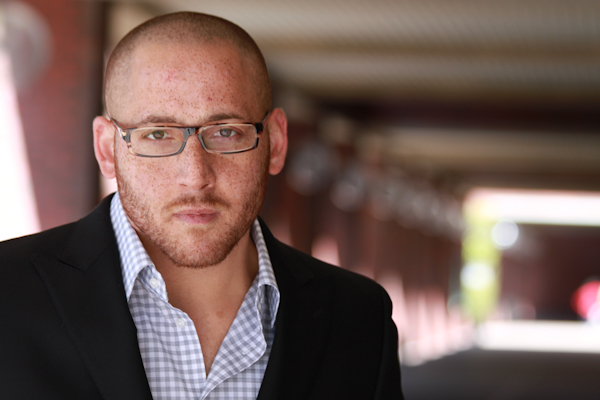 In the summer of 2013, Kevin released his memoir titled, Cracked Not Broken, The Kevin Hines Story. It has continued to sell out and is on several bestsellers’ lists. His story was featured in the film “The Bridge” by the film director and producer Eric Steel. Thousands of people have reached out to him expressing thanks for his message of hope.